A landing page is where your customers end up after clicking on a pay-per-click (PPC) advertisement. Unlike a homepage, which is meant to be an introduction to your site and guide visitors, a landing page has very specific focus: it exists to convert visitors into sales, leads, signups, or another singular action. It should go without saying that your landing page is going to be a key part of any search engine optimization (SEO) or PPC campaign. Just as a great landing page can make a campaign succeed, so too can it cause failure if poorly devised. If you find that your landing page isn’t converting visitors as expected, it could be that one of these common mistakes is to blame. If someone has clicked on a PPC ad, they likely have a specific interest in whatever was being offered. They could want to save on insurance, get a free quote, book an appointment for a massage, or any number of other things, depending on your focus. Your landing page needs to support this. It’s fine to offer a few bullet points on your services so that customers know what they’re signing up for, but you don’t want them scrolling through paragraphs of information. Let’s say you saw a banner ad that reads, “Click Here to Improve Your Landing Page Conversions!” and followed the link. You would be expecting an SEO service with a clear, concise explanation and the ability to quickly engage the company’s services. You would not be interested if this very article came up. Informative? Yes. A concise call to action (CTA)? No. Similarly, your CTA has to stand out. It should be possible to find the necessary button within a second of the page loading; this means the button has to be large, well-placed, and stand out against the rest of the site. If you use Skype, you may have noticed on their otherwise blue-and-white colour scheme that the CTA buttons are all green. This is a great example of how to make your CTA both aesthetically pleasing and immediately visible. If you do want to include more thorough information on your landing page, you should have a CTA button at both the top and the bottom. That way, customers who don’t want to read the information can click the button immediately and those who do won’t need to scroll back up. It is common for landing pages to include testimonials from customers. In addition to actual testimonials, some companies will include fake testimonies or ones by their own employees. This is, to be blunt, going to raise red flags with the visitors. Fake testimonies are easy to spot because they are too marketing-focused. Similarly, no one is going to give credence to an opinion given by an employee. It could be the most honest, heartfelt statement possible, but visitors can’t invest much stock in someone with an obvious conflict of interest. Another problem is if your testimonials are too vague. This doesn’t help inform visitors and could trigger alarm bells in others. Unfortunately, especially if you want to use quotes from reviews, vague may be all you have to work with. In these cases, your main option would be to make the source clear. If you can manage it without distracting from your CTA button, include a link to the review’s source so that people can check it for themselves if they’re skeptical. Lastly, in the event that you choose to include photographs of the testifier, take care in your selection. Stock photos are right out, as are any that seem too “pretty” or like models. Unless you are selling a beauty product, such images tend to garner skepticism. In today’s media-savvy age, video clips and YouTube links would be the best approach, yes? Not really. While you can have videos on your landing page, there are two very important things to keep in mind. First, don’t have it auto-play—that’s just annoying. Second, never assume your customers will watch it; some people lack the patience and others lack the interest. Any information in your video should be available elsewhere on the page or otherwise not necessary for the customer to follow your CTA. A landing page is a funnel; it should direct visitors to your CTA and be optimized for that purpose. This means that a landing page can employ a bit more hand-holding than the rest of your web site. Any navigation bars, for instance, should be removed or changed so that they do not take focus away from the CTA button. Distractions can cause visitors to lose focus and forget what they were interested in, so minimize or eliminate as many as possible as a basic part of the page’s SEO and PPC tailoring. If your CTA is to get people to sign up for a mailing list or newsletter, keep things short and simple: you need their name, e-mail, and possibly one pertinent demographic answer that should have a drop-down list to choose from. You will have more opportunities for extra information later, but for now your signup should be focused on exactly that–signing up the visitor. This is especially true for any mobile-friendly sites since typing on phones is often cumbersome and best kept to a minimum when possible. Short signup forms also lower the likelihood of visitors getting uncomfortable or losing interest and leaving partway through the process. 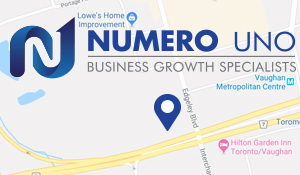 Numero Uno Web Solutions is a provider of search engine optimization, content marketing, and traffic building solutions for startup and small companies from all industries and fields. We stay on the pulse of industry changes and adapt our practices to produce quality SEO, content marketing, and traffic building plans to fuel the growth of businesses across communities. Contact Us to learn more about growing organic traffic, different SEO techniques, and how we can help improve your search profile.